Worried your London Marathon training is not going to plan? Is pain or injury stopping you reaching your targets? Having treatment but not getting to the root of the problem? 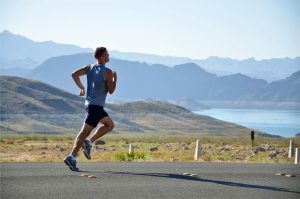 The expert physiotherapists at Physio-Answers have been helping runners for many years, including preparing for the London marathon and repeatedly seeing very similar problems so we wanted to share our experiences to help other runners achieve their goal of completing their training and running a successful and injury free marathon. 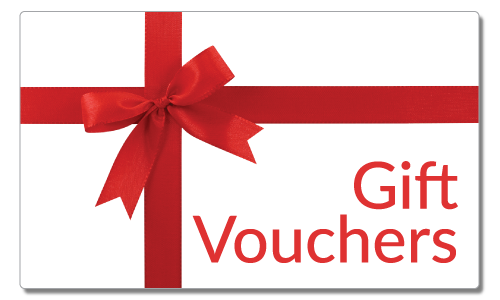 We also want to show how prompt and expert physiotherapy can really help solve these injury problems and keep things that way. We are not into a quick fix but want you to remain fit and well at the end of the race and beyond-not just get you through it! You may have a problem and are treating it with massage, foam rollers or taping with some success but not addressing the underlying CAUSES so it just keeps coming back. Treating the symptoms can help but may only be a short term fix before the pain returns. 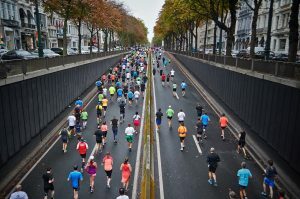 At Physio-Answers we see and help many runners at this time of year, often training for the London Marathon and starting to develop problems at this stage of their training. They often come with hip, ankle or knee pain, despite no obvious injuries or traumas. Often their training distances have started to increase and despite running up to now with no problems they are starting to feel that things are not right. They may be able to ‘run it off’ but wake the next day with pain and stiffness that is slowly getting worse. They are usually desperate to keep to their training schedule and often try to ignore the problem. After all, if it came on for no apparent reason then hopefully it will disappear again? Unfortunately this is not usually the case and the problem often gets worse until training has to stop altogether. If any of this sounds like a problem you are dealing with -whether you are a seasoned marathon runner or starting out in a 5k then we can get you pain free and back on track with your training. With the London marathon in April much of the training is done in the coldest months of the year and although it may seem obvious when it is cold it is even more important to get and keep muscles warm and suitably stretched. Cold, stiff muscles are much more likely to fatigue and subsequently fail or tear especially areas that may already be fairly tight e.g. calves, hamstrings. We often see runners whose problems started after a run in particularly cold weather. Also, running styles can subtly change when the running surface is slippery, muddy or more obviously snowy so the stresses through the body change slightly. With the repetitiveness of distance running those stresses can accumulate eventually cause problems. People often follow the advice of other runners, or the media as to what footwear or trainer is best. But the most suitable footwear depends on the individual. There has been a trend recently for very soft, unsupportive footwear the idea being the less support you get from shoes the more your muscles have to work so they become stronger. There are several problems with this blanket approach. Firstly, you have probably had some support from shoes since you were a child so a sudden reduction in the support from your shoes when running for a long period could cause problems especially as distances increase. Also people’s foot mechanics differ even over time in the same person. The more unusual foot pattern is over supination and this causes a stiffer foot so more shock absorbency is required from the shoe to prevent excess impact through the knee and ankle. 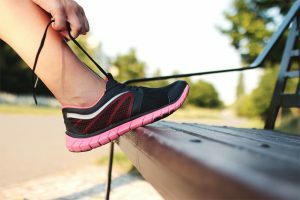 Also shoes and trainers wear out and lose their beneficial effects so replacing your trainers (at a suitable time in your training) is also important. If you are unsure of your foot type or running technique and therefore what trainers are best then we advise you get a gait check at one of the specialised running shops. They will analyse your gait on a treadmill then advise as to which is the best trainer for you. Not the cheapest way to buy trainers but worth it when so much is at stake! Biomechanics is defined as ‘the study of the structure and function of the mechanical aspects of biological systems’. The physios at Physio-Answers are experts in movement analysis. We have helped so many clients truly recover after they have had extensive treatment for a problem elsewhere with no-one ever looking at their alignment, posture or mechanics of movement. They were unaware for example that they had a scoliosis or one leg is longer than the other, that they have wasted muscles around their pelvis etc. Only when these core issues are addressed will it be possible to show a real change in pain and performance. Bio-mechanical issues are even more important in distance running. When there is some misalignment through the body as the foot hits the ground then the repetitiveness of that incorrect action (however slight) starts to cause problems-especially as distances and the subsequent number of steps increase. Runner’s knee and ITBS are examples of this. Treatment of the resulting symptoms will only be partially successful in addressing the problem as the solution is to find out WHY these structures are being overused and injured. Only when the underlying problems are identified can be worked on and resolved so the body moves in alignment and the stresses are optimal and correct through the lower limb. From our experience many runners with knee or lower limb problems do not pay sufficient attention to their stability or core. They commonly present with lower limb problems and are unable to do a strong and well aligned one legged squat which is vital for in running and if stability is poor the compensations that occur cause enormous stress-especially to knees. All athletes and sportsman now appreciate the importance of a strong core-it improves their performance and helps prevent injuries. Your limbs can only be as strong as the place they start so poor support and stability in the trunk and pelvis will put excess strain on the legs and problems will occur. It is not sufficient to just work on quads and hamstrings. They need a strong base to work from! Core work can be difficult to do effectively and well as the muscles are usually deeper and more difficult to activate. Control, correct alignment and perfect technique are key. Our physios will work very specifically to get the correct and effective techniques. A sheet of exercises or information on the internet may not be enough. When training is interrupted many runners start to panic that they will not get fit in time so try to push through pain or speed up their regime. Unfortunately this means more time out in the long run. Expert advice as to how and when to progress through a rehabilitation programme and your training regime will get better results in the end. Pushing through an injury could affect you for many years to come. Not only do you want to complete the marathon and in a good time-you also want to be able to continue being fit and well afterwards-AND EVEN THINK ABOUT DOING IT AGAIN. So if you are training for a marathon or just a recreational runner and you have ANY problem it is best to sort it NOW. The sooner we see you the quicker and better the results from your sports injury.